It was an early start being at Collingwood College car park by Durham University for 10:30, having been used to getting up for 12 every day of the holidays. Nevertheless I managed to haul myself out of bed for the orienteering event, gearing myself up with running clothes to complement the cold weather and a choice of trail shoes to combat the mud of Houghall forest. 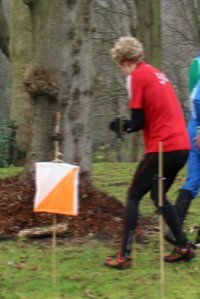 Although I have been a passionate runner for a few years now (at the age of sixteen) I have never exactly done orienteering, so it would be fun to try out and learn how different it actually is from regular cross country running. I went down with my family, and we had agreed to split into two teams, composing of me and my brother Emil for one team and my parents Camilla and Arto forming the other. For my team, we had come to the agreement that Emil would do all the map-work and work out where to head next and I would run off to the controls to scan our E-tag when we spotted them. My parents had gone for a similar approach of tactics, with Arto mainly reading the map and Camilla mainly running to the controls. 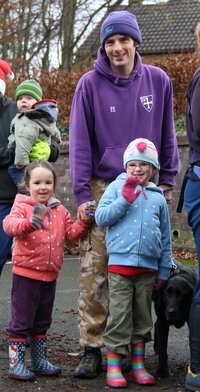 After having stood about at the car park for half an hour (and gotten somewhat chilly) it was time to set off, so everyone queued up to scan their E-tag and then grab a map and set off on their hunt – whether they be aiming for their fastest possible time or taking it as a relaxed walk. Emil and I weren’t taking it all too seriously, being it our first time properly orienteering, but we were still going to give our best efforts. Anyway, I scanned my E-tag to signal the start of our 1 hour time limit and then prepared to grab a map, but lo behold disaster had struck; they had ran out of maps! It may not have been the end of the world, but our 1 hour limit was already ticking down while we had no idea where to go, which is pretty near. We ended up admitting defeat and joining our parents to borrow their map (don’t tell them that this made it a defeat (only joking, it didn’t really make it a defeat)). However, before we got anywhere we found Scott and Dianne with their daughter, who had a spare map and were kind enough to give it to us, enabling us divide into our original groups again (they mustn’t have been aware that I am in fact from Jarrow & Hebburn AC rather than a fellow Strider, or they may not have given it to us!). We had lost a couple of minutes by this point, but it didn’t matter – we were just glad to be able to start properly. My brother had plotted out a journey varying to that of our parents, as we had decided to trek out the furthermost control on the map in the edge of the forest, getting only a couple on the way, and working our way back collecting as many controls as we could in a steady loop, finishing with the ones around the colleges. This contrasted to Camilla’s and Arto’s plan as they started getting the nearby ones around the colleges first and slowly worked their way out to the forest, but with a longer run back at the end. You could have said that we started well if we had not gone in the complete wrong direction and hit a dead end within a matter of 50 metres, and we hastily turned back to take a missed left turn up some steps. After a bit of prancing about like lost sheep, we did finally come to our first control which we later discovered was our longest split time of 5:40, despite not being particularly far from the start. We knew it was a slow start. However, we didn’t let it get in our way, and like true explorers we continued with a determination to do as well as we could. The chemistry between me and Emil was a good one and our tactic was working out well: I would be running just out in front and he was running behind telling me which direction to go, and when a control was nearby he would tell me whereabouts it was. When I spotted it I would run off towards it and scan my E-tag on it, meanwhile he would plan out which direction to go next. 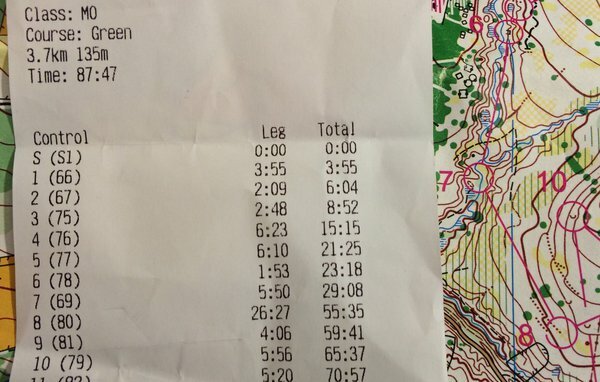 Admittedly, I didn’t do any map-work whatsoever, but in retrospect this was probably for the best as judged by a knowledge of my navigation skills (a couple of years ago I was in the Lake District with the school and on one day we did an event that I wouldn’t call orienteering but it was similar. My friend and I misread a map and got lost for 20 minutes). The terrain was quite demanding in the forest. As if the slippy mud wasn’t enough, there were hills of all sorts of gradients that had to be ran up and down then up again. I daresay my brother enjoyed watching me struggling up a hill to get to a control whilst he got to stand at the bottom planning which hill to send me up next (at least it was fun to surf back down in a landslip of dirt). Although it would be exaggerating to call it a death trap, there were some well disguised sticks and logs amongst the mud that fooled me in the demanding terrain and it had me stumbling about several times. 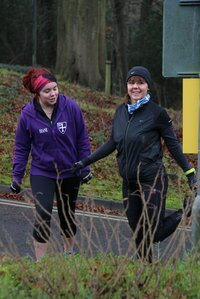 There was fortunately much more welcoming terrain in other areas, as you got the grassy fields and eventually the glorious concrete floor by the colleges as you get closer to the start/finish. There was a humorous time just 10 minutes before w had to be back where we were searching a specific control when going up the pathway parallel to the uphill road of the science site, separated only by a patch of forest. Somewhere amongst these trees was a control but we couldn’t seem to find it. As it turns out, Emil had somehow ended up turning the map upside down and so was looking at it from the wrong perspective. No wonder we couldn’t find it! After adjusting the map we did find it, and tried to start increasing our pace as we knew we didn’t have particularly long left. We knew we had already definitely missed out 4 controls, which we had decided to miss out knowing that we wouldn’t have the time, but we had two routes available for us to the finish: one which would leave out 2 of the remaining controls, and the other which would get all of what was left but obviously would take slightly longer. We ended up taking the route with less controls as we only had a couple of minutes left at the point of this decision, and time started getting really tight and our pace was picking up. After getting all the speculated controls I saw that I had about 30-40 seconds to sprint up the hill and up to the finish. There wasn’t too much for my legs to give having constantly ran about the forest but I applied a boost of speed in this final sprint in attempt to get within an hour (as a 10 point penalty is given for every minute late, essentially subtracting the points worth of 1 control). I scanned my E-tag to make my wrist move faster than I could ever imagine it to and immediately checked the time on my watch. It showed to be out by 9 seconds. The exact time printed out for us was 60:07. If we were 7 seconds faster we wouldn’t have received the 10 point penalty, and to think that we lost at least a minute at the start while we didn’t have a map! We completed it with 24 controls out of 30 and scoring 230 points (although we were on the moral high-ground that it should’ve been 240 points), which we were still very proud of. We found Camilla and Arto and found that they had got 21 controls (even though Camilla’s watch died halfway through so they had to guess at what time to go back, by which they reckon they might’ve gotten a couple more). In any case we had won the friendly family battle, but most importantly of all we had lots of fun and look forward to going orienteering again some time! My diary was looking worryingly empty for the weekend – no cross country competitions or fell races. Inspired by my recent orienteering experience as a vampire with a blank map (courtesy of the Northern Navigators’ Halloween Club Night) I decided to try out a NATO event. 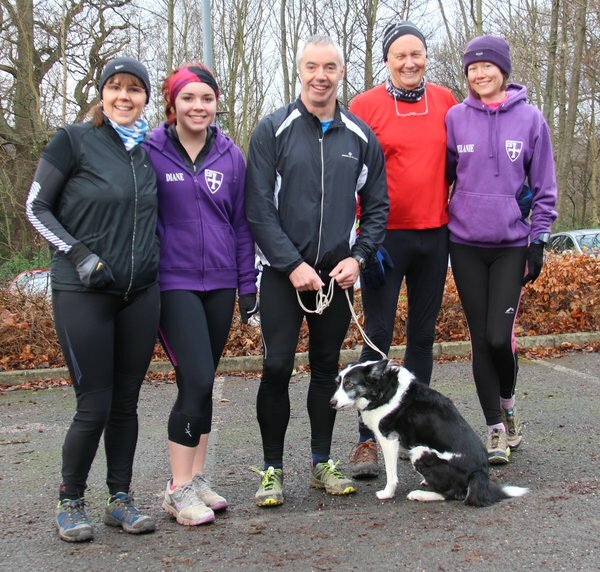 I had previously thought that these events had something to do with defence and camouflage clothing, but it turned out to just be an event arranged by Newcastle and Tyneside Orienteers. There had been a Saturday night event the day before, no doubt populated by vampires and ghosts, so this time I chose a civilised Sunday morning event. 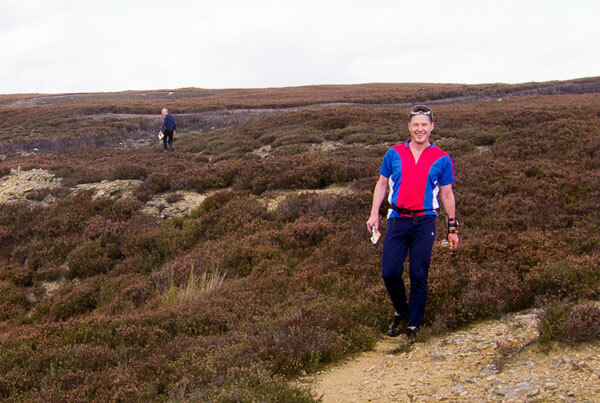 Unlike pure bred runners, orienteers are a relaxed breed happy to start their treks at flexible points of time, which at this event was anytime between 10 and 12 a.m. I did not read the instructions for how to get to the start very thoroughly, so drove around in circles near Jesmond for a while. There were people of various ages running around with maps but I had no idea where they had appeared from. I asked one of them and he didn’t seem to have a clue either, but eventually I did find the car park. When it came to what to do during the event itself I had done my homework (the NATO website has a collection of FAQs that are really useful for newbies). The courses at Jesmond Dene ranged from 2.1 km (yellow) to 6 km (blue), so weren’t exactly taxing in terms of distance. However, the longer courses are more difficult to navigate so I decided to just do an orange course (3.3 km). Like the Esk Valley fell races, there was a man in a van taking registrations in an equally cheerful manner, which made me feel at home. 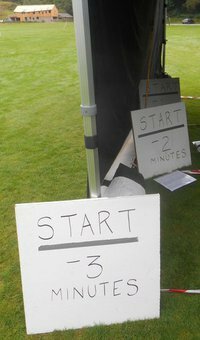 I also borrowed an electronic dibber which was to be used at the start, controls and finish so that I later could check my split times for each distance. At this point Dougie (Strider, experienced navigator and race report editor) also kindly assisted me so that I didn’t get lost on the way from the registration to the start box. 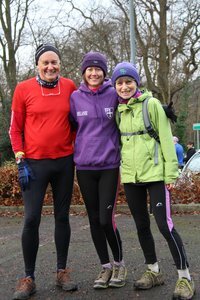 Kate and Nigel from Northern Navigators had also arrived with their children including Maya (W10) who despite her young age and big smile is a fearsome competitor to have in the same race (she was also doing the same orange course as me). As a runner, it felt rather strange to stand on my own in the start box with nobody else at the starting line. I was told to just get started when I was ready and then dib my card and pick up an orange map. Off I went picking up the map which had a scale of 1:7,500 (meaning that each cm on the map was equal to 75 m so it was rather detailed compared to an OS map). The start was where the triangle was – I knew that much. Control 1 was at a spring which seemed to be just after a path junction – but in what direction? And was there a building in the car park behind me that I hadn’t noticed as there was a building marked on the map? Could the pavilion on the other side be the round black dot? No, that wasn’t right at all, but it took me a while to figure out that I had run into completely opposite direction to what I was supposed to do. A marshal felt sorry for me and pointed me in the right direction. The next controls were luckily easier to find and after my slowest 3 k ever I dibbed at Control 13 at the East side of a round building and then followed the tapes to the Finish and then went to the download point to record my results. The receipt that popped out of the machine mercilessly told me my splits (including 15:35 for Control 5) and total time (58:20). Maya won the orange course in about half the time (29:44) but I wasn’t last (4th place out of 6, but it’s possible that the other ones didn’t run). Northern Navigators did brilliantly overall, with Nigel and Dougie in 1st and 6th position respectively for the Blue course, Saskia and Debbie in 2nd and 6th place respectively for the Green course and Maya’s big sister Jeneba in 6th position for the light green course and little sister Yolanda 7th for the yellow course. I finished off by buying a coffee from the café van and sitting down on a bench to enjoy the sunshine and the wildlife (fat rat crossing the path purposefully and without using a map). Now, should I be doing a light green course next time [Absolutely! Ed.] and when can I fit in the next orienteering event? This was the second day of a two day event hosted by Northern Navigators in Hamsterley Forest, County Durham. Although I was disappointed at having had to miss the first day, it was the second day’s event, to be held over the moorland area of Cabin Hill, Doctor’s Gate and Gull Quarry, that would have been my preferred option anyway – a glorious day on the fells with map and compass with only the sky for cover as opposed to charging through thick undergrowth where the light is so poor that without specs map detail disappears in a blur. 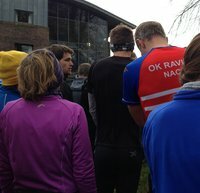 The thing I particularly like about orienteering events is that they are so relaxed. For one thing there are few absolute deadlines to stick to; instead there’s a registration window of a couple of hours with starts about half and hour afterwards lasting for another couple of hours. I also find it slightly weird that although there might be lots of people entered, you could end up seeing very few of them and maybe even feeling that you’re doing it on your own. 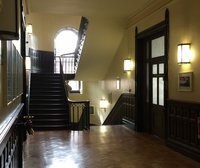 You rock up any time after registration has opened and off you go (although to be reasonably sure of a map for your chosen course you might not want to leave it too late). Whilst I’ve done a few events over the years there’s always been enough time between them for me to have pretty much forgotten the procedure – and it’s a procedure not for the easily dissuaded. 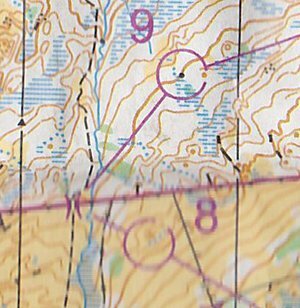 In the 90s, when I was orienteering as training for mountain marathons, it was all punched cards but now the dibber is king and I confess that I still find the starting sequence slightly intimidating. ‘You’ll need to clear your card at the first station – there’s nothing after that’ I was constantly and mysteriously being told. My technique in these situations is always to deal with one thing at a time and ditch any pre-conceived ideas so I decided to discard all advice relating to scenarios after the card-clearing one and I’d take it from there. Fortune however smiled on me when on returning from registration £13 poorer, I found that Mr (Dougie) Nisbet was parked right next door! Not only was this my passport to starting success but I’d have someone to photograph! After Dougie had made his own pilgrimage to registration we set off on the long walk to the start where we diligently cleared our cards and dumped our extra clothing in an unsheltered area marked off for that purpose (a waterproof bag might be an idea next time although it wasn’t needed on this occasion). From there it was another hike along the path then up the stony track known to many County Durham fell runners as the ‘Doctor’s Gate’ track. At long last we were onto the fell and approaching the actual start. Here Dougie kindly sought out and handed me my control description for the ‘short brown’ course. Nigel from Northern Navigators was setting us off and his young daughter Maya (an orienteering ‘wunderkind’) took the pic of Dougie and I before Dougie stepped into the box to be counted down (with a proper clock and everything). He was doing the full ‘brown’ course which was another 1.5 km longer than the 7.7 km that I was signed up for (to be fair I’d have done a longer one myself but the only M50 course I could see was the ‘short brown’ – but apparently it doesn’t really matter). Off went Dougie who selected his map from the row laid out in front and disappeared up the path. I had to wait though, as the two competitors who had left immediately before Dougie were doing the same course as me and so I was held back for a couple of minutes to ensure complete independence. Eventually the buzzer went and I was away. I quickly found my map and striding up the track, began to get myself orientated. I might have forgotten just about everything else but my navigation skills thankfully remain intact. Getting that first sight of the map, orientating it and being able to pick out the appropriate features is always a real buzz. If it’s claggy (misty) it’s an even bigger buzz as you’re just trusting to that plastic thing in your hand (or on your thumb) and everyone knows that you shouldn’t reasonably be able to find your way in those sorts of conditions anyhow. Today however, the weather and visibility were fantastic: the 7 degrees that had been showing in the car earlier in the morning had long been surpassed and by now it was quite warm – possibly even too warm. But temperature was the last thing on my mind as I stepped off the track and loped off uphill through the heather (always driving with my right leg for some reason) heading for the first of 17 controls. As I write I’m fighting a raging desire to detail every single control visited and decision taken but mercifully I won’t. 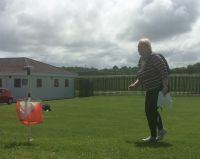 Suffice to say that, as always, the event was completely absorbing, with every control offering its own mini-challenge and running being merely the means of propulsion. It was so absorbing that it was quite late in the race when I realised how tired I was (the course was almost all heather – a foot high in most places and even deeper in others, often concealing sandstone boulders particularly around the quarry sites). By the time I’d finished, my legs were knackered although I still felt fine in the old cardio-vascular department. When I did eventually finish I downloaded my dibber (another ‘must not forget’ procedure) and found that it had taken me a fulsome 2 hours and 4 seconds but the fastest competitor had been through in 66.56! Perhaps I shouldn’t have been too disappointed with myself but despite the fact that I’d achieved almost all of my controls well inside single figures, crucially it had taken me sixteen minutes to find the second control and over twenty to find the last! I put this down partly to the control descriptions which unlike those for mountain marathons are more or less hieroglyphics and until you learn ’em you’ve no idea what the feature is that you’re actually looking for! But that last control was a nightmare! The only positives to come out of it were that as I sensed all my previous hard work slipping away I didn’t actually burst into tears! And that when the little devil on my shoulder was telling me to ‘leave it’, that some miscreant must have stolen it, I didn’t give in and seek solace in excuses at the finish only 150 metres away but diligently continued to search. The relief when I found the thing was almost overwhelming. To be honest I was never going to be competitive anyway as indeed I wasn’t (I was second last of 17 competitors on day 2) but it’s nice to get the opportunity to put the skills into practice and I might have improved my position a fair bit if I’d not let myself down so close to the finish (or stopped to take photographs). Far too many of the competitors buzzing about the moor looked very slick – coming in from all directions, a quick dib and away whereas I can’t help a little inward celebration every time I find a control. 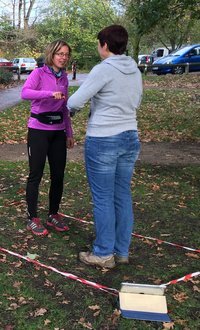 You really are in a world of your own when you’re orienteering; you can never tell (well at least I can’t) who else might be in your class and it does you no good to try. I did come across Dougie fairly early on, looking very composed but almost certainly engaged in battle with his own ‘demons of doubt’. After that our paths never crossed again. All I can say with certainty regarding his whereabouts was that only two garments remained in the ‘clothing area’ after I retrieved mine, one of which belonged to Dougie. I can’t think of another event in which I’d be quite pleased with 7.7 km in 2 hours but despite my drop-offs the rest of the event was immensely satisfying. The read-out from the download is brilliant to analyse and lots of lessons can be learned – physically, technically and psychologically. I’d be surprised if I ever did this with a proper ‘race-face’ on but who knows? Organisation was excellent, everyone was very helpful to those of us who were trying our best to wreck their procedures and it was great to do an event like this that for once doesn’t involve miles of travelling. I’d been nervous for last year’s cancelled event but this year I was in much better spirits. Conditions were good, bordering on the perfect, and I was feeling fit. 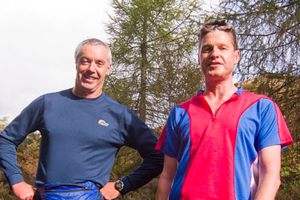 I reckoned I was fitter than two years ago when I’d successfully got round the LDMT ahead of the cut-offs so I was reasonably confident as I stood at the Start in Patterdale waiting for the three minute countdown. I wonder where we’d be going? A taped route led 1200m after the start to map collection and all became clear. For starters we’d be heading straight up St Sunday Crag and make our way to the first checkpoint; a sheepfold at the bottom of Fairfield. Up over the top of St Sunday or do some clever contouring around the side? Hmmm, I decided on the more brutal but easier to navigate over the top route. It was hot and hard but an hour later I was skirting the summit of St Sunday and planning my descent. Conditions were clear and I was lucky to spot the checkpoint from a distance so took a direct line to it. 90 minutes in and I was at checkpoint 1, 7 to go. This was harder than I had expected and although still comfortably within the cutoff I’d hoped to be going faster and feeling more comfortable than I was. Checkpoint 2 was easy navigation. Hole in the Wall, so back over St Sunday and down to Grisedale Beck, where a fellow runner bid me a cheerful good morning and asked me how I was doing. I was pretty sure I recognised this chap. “It is you, isn’t it?”, I asked. “Oh, yes, it’s me.”, Joss replied. Introductions over, we chatted for a minute, during which time Joss said he was retiring because his knees were giving him trouble. He seemed remarkably upbeat and spoke of seeing his specialist next week to get them fixed. Joss was running with two fantastic sticks that looked hand chiseled and customized – I’ll never look at my Lekis in the same way again. 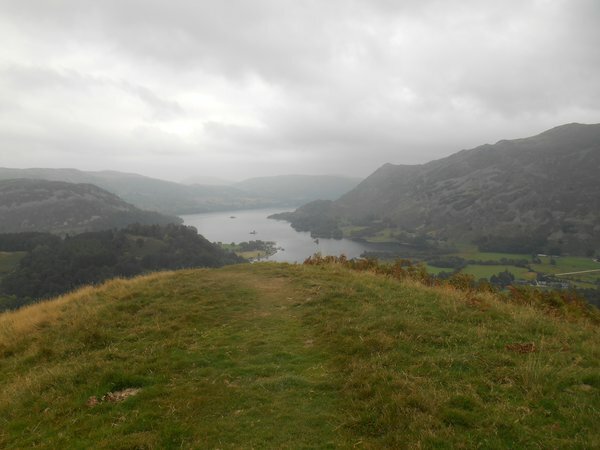 He headed off down the valley back to Patterdale and I headed upwards to the Hole in the Wall. It was a long hard climb up the wall line during which at some point Andy Blackett from DFR passed me and somehow managed to make me agree to make up a ‘B’ team at the FRA relays, before he pushed on ahead into the distance. Checkpoint Two eventually arrived and I was feeling far more tired than I expected to be, and only half an hour inside the cutoff time. This was beginning to look ominous. Checkpoint 3 was a fair trek away, somewhere NE of Hart Side. I descended down Red Tarn Beck then crossed over towards Greenside Mine. 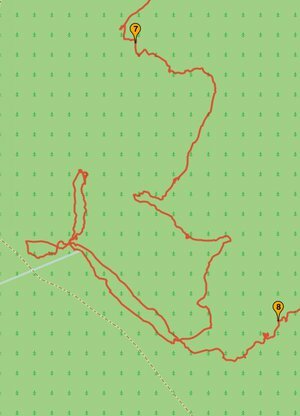 I was very pleased with my direct route up the beck and across the shoulder of Sheffield Pike to Nick Head, where I picked up a path that contoured all the way round to Brown Hills. My speed was slow but my navigation was fine. I left the path to begin contouring round Brown Hills towards the checkpoint at Coegill Beck. I realised that time was now against me and that if I got to the Checkpoint 3 before being timed-out I’d retire there anyway. Unfortunately I decided to contour by following my instincts rather than following the compass and it wasn’t too long before I found myself in the wrong beck wondering where the checkpoint had hidden itself. I checked my watch. It was academic. I was out of time. I’d drifted too far east and the checkpoint was out of reach. Five hours and 10 miles into my race, and only two checkpoints visited. Time to admit defeat. I retired. It took me another hour and a half to get back to registration to find Andy Blackett sitting comfortably watching the runners finishing. “Retired?”, he asked, without preamble. For those who don’t know him, Andy Blackett is no slouch, so I did feel slightly better to hear this news. He too had contoured round Brown Hills making a similar mistake to me but managed to relocate and push on to Checkpoint 3 where he retired. A look at the (extensive) list of ‘rtd’s on the results shows that most people who retired did it at this point. It was a tough event and sadly, it was too tough for me. I suspect it was a harder course than two years ago, but that’s neither here nor there. It’s advertised as a challenging event and LDMT are entitled to set the bar high, but I doubt I’ll be fit or confident enough to tackle the Classic again. This was an urban orienteering event. The course centred on the Uni site at Stockton, which was south of the river and the Tees Barrage area to the north of the river. I felt quite nervous on the way there as navigation is not one of my strong points. However I reassured myself that I had managed the couple of practice sessions I had done previously with the Northern Navigators. 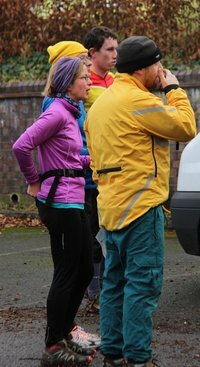 It was Dave’s first orienteering event as well. The event used the Sportident system where you put a dibber in a machine to record that you had visited a control and what time you got there. The entry fee was only £3 and the hire of the dibber another £1, so it was a bargain. We were given a map at the start which had the controls marked and a straight line between each one (so it went through buildings and the river). There were twenty three control points on the long course (advertised as 4K, but I learnt afterwards that was measured as the crow flies between controls, I think I covered about 6K and Dave a bit more because of an error – see below). There was also a short and a medium course. You can start any time between 5pm and 7pm. We got there quite early as I wanted to give myself plenty of time incase I struggled. We registered and were each handed an electronic dibber. I had not used these before so I had to admit that I was new at this and got the lady at registration to show me how to use it. I dibbed in and opened my map to work out where I had to go, there were 23 controls in total that we had to find. Dave was going to set off after me however I lost my nerve and we headed over to the first control together. However after this I decided to go solo and Dave went on ahead. I made a minor error at control 6, I ran past it and dibbed number 9 instead. I suddenly realised my mistake when I turned around and saw control 6 behind me! I thought that was it and I was out on my first event, however another entrant told me not to worry that if I backtracked to 6 then continued from there that I would be okay, phew. Once we both had control 10 Dave again went on ahead. I made a point of reading the map myself rather than just following him as I really wanted to be able to learn to do this myself. I did not see Dave again until I got to the last control. I thought I was catching him up and that I might beat him because of his mistake. My smugness was short lived when I realised that Dave had actually been back to the car and got changed and was heading back to see me finish. Dave finished in under 45 minutes and I finished in just under an hour. Even though I was slow I was very pleased to have successfully completed the course. I did get quicker towards the end as I started to grow in confidence. I think the fact that there is a river really helped me to navigate as I always knew which way the map should be facing. I would love to try another course with less obvious landmarks. I would really encourage people to give it a go. I feel that if I can manage to find my way around anyone can. I find it really fun, it is like a grown ups version of a treasure hunt. Sadly, most of the local events are on Thursday evenings when we are both working in the surgery, so it may be a while before we can do another event. However we will definitely do more of these in the future when possible. 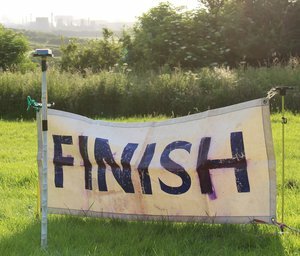 After Saturday’s 30 miles around the Durham Dales a manic urban orienteering event around Whitby on the Sunday seemed like an attractive antidote. I’ve never been to Whitby before and what better way to find out about the place than by running excitedly through the streets and parks. We registered and I chose the longest course with some nice long running stretches while Roberta decided to stick with a shorter course. 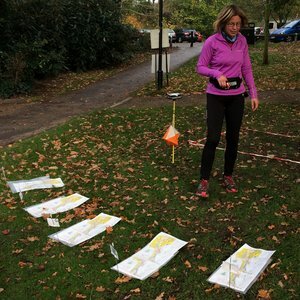 Urban orienteering favours the quick thinker; the navigation is usually quite straightforward but you need to make a lot of decisions very quickly. It was, for example, a long way from Control 6 to Control 7. What was the best way? You could easily spend 30-60 seconds pondering all the permutations, come up with an absolutely wizard plan, fiendishly efficient and fast, but that 30 seconds could have been used just running optimistically in the general direction of the control. Sometimes the hare does beat the tortoise. I do ok in urban orienteering but I need time to read the map, check my location and plan my route. And think. 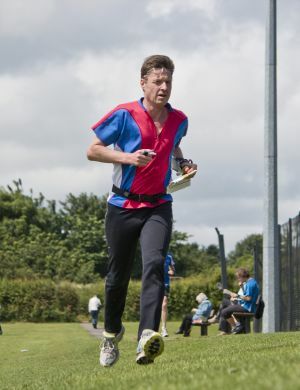 And I do it a few seconds slower than most orienteers, which over 30 controls, soon adds up. The sun was out and Whitby was busy. But there was plenty of space and it was easy to get round people. It wasn’t quite as easy to parry the questions that many ask when a sweaty runner sprints passed waving a map in the air. Roberta kept bumping into the same dog-walker who seemed to want regular updates. Almost every walker also insists on ‘helping’ with some advice; “there’s one of them things just along there!”. One bloke helpfully told me that he thought I was lying about fifth. Fifth in what, I have absolutely no idea! But fifth would be nice. There was a nice bit of variety in my course, through streets, paths, parks and an interesting stretch along the seafront. I got around briskly enough without any major errors, apart from going straight from 11 to 13 without bothering with the extra hassle of going to 12. In an urban event such as this with lots of controls it’s surprisingly easy to get out of synch and miss a control. The event finished back at the school where we started in a nice flat grassy area. With the car parked just a few yards away I was able to sit on the grass and have a coffee while waiting for Roberta. Unlike a conventional running race where a lot of people finish around the same time an orienteering race has people starting and finishing at all sorts of times and apart from the occasional appearance of a brightly coloured runner you’d not know that you were at the Finish line of an orienteering competition. A nice way to round off a weekend’s racing. It was a toss-up between an urban event in Killingworth or a drive down Pickering way to Keldy and Cawthorne Banks. 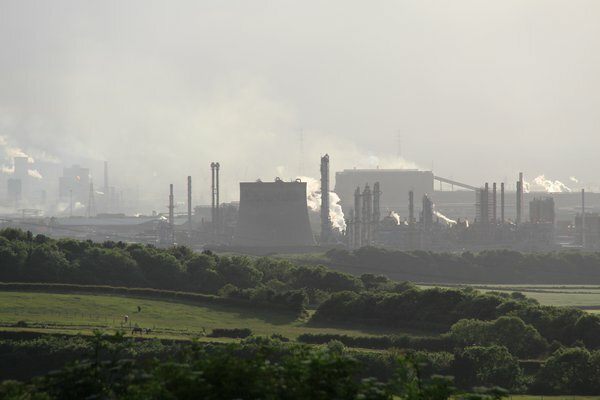 In the end we decided to go south, partly because it was a location we hadn’t been to before, and it was woodland and I like that sort of stuff, and partly because next Sunday we’re doing an urban event in Whitby. Urban orienteering is fun once in a while but not every week. It’s quite a long way to Cawthorne Banks and you need to drive through a lot of gorgeous North York Moors to get there (well you don’t, but we did) but it was worth the trip. We registered for the courses we fancied then a long trek to the Start which was perched classily beside Elleron Lake. Roberta toddled off on the Orange course, and I started at the same time on Green. The first four controls were easy. It was all running and easy navigation and I was soon out of breath from the hard running. Things toughened up a bit after that and the controls became more challenging. Then came control 8. Getting a bit over-confident I crashed through the undergrowth in the general direction of control 8. Soon realising that I hadn’t really thought this through, and the reluctance of the control to simply present itself in my path, I started looking for a catching feature – an obvious feature somewhere after the control that would allow me to relocate – that is, work out where the hell I was. Relocating is what you do when you’ve gone a bit astray and you’re desperately looking for nice feature, like a fence or a road or a building that will make things clear where you are. Time ticked on and my minor error was becoming a major error. Was I relocating, or was I lost? There were no obvious catching features and I was, quite literally, just stumbling around in a wood. I stumbled down to the stream and picked a direction. Eventually a footbridge, a road, and oh good grief, I’m there?! Really?. I often ponder over the fickleness of this sport – being both fascinated and horrified by how a simple mistake can pretty much blow your race apart. Sure enough, 26 minutes to find a control that should have taken 5, and my position at the bottom of the results pretty much guaranteed. Well you live and learn. Or other people seem to, anyway. 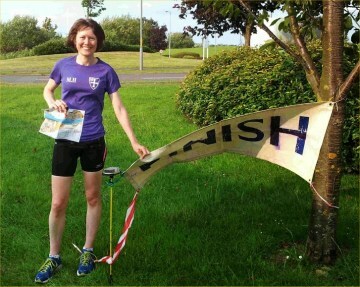 The Summer evenings are upon us and with it a bundle of midweek orienteering events. NATO do some really nice events that are very beginner friendly, and usually include the course option of ‘long orange’. This is quite good for a runner; fairly easy navigation but with a bit of distance to it so you feel like you’ve had a run, rather than just a puzzled walk with a map. CLOK do a summer series too. There was one on Thursday night at Errington Woods. I’ve competed there before on an army event and vowed never to step foot in the place ever again. I hated it. I hated the map, the scale, the terrain, the beer cans, the footpaths that were on the map but not on the ground, the footpaths that were on the ground but not on the map. So it should come as no surprise that Thursday found us sitting in traffic on the Tees flyover, going nowhere fast, but eventually arriving at Errington Woods. It was a nicer place than I remembered although the weather probably helped a lot. Lots of interesting sculptures and trees and stuff. A characteristically shabby performance that I should be used to by now but it’s still frustrating. Still, when you’re at the back, there’s only one way to go. After yesterday’s event in misty woodland, today found us sitting in Kendal Town Hall waiting for our start time. This was Street Orienteering; like normal orienteering, but you play it in the street. 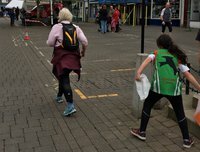 I’m not sure what I think about Urban Orienteering; it’s fast and furious and allows you to run like a lunatic around the streets of Kendal. We had a bit of time to spare, having parked in the local multi-storey, (maximum height 1.8m) and I had time to reconsider my footwear. For this orienteering weekend I’d packed my Walshes and Sportivas. 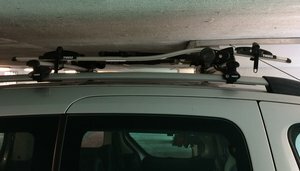 Both good choices for the fell and trail. Not so brilliant for a street warrior. But hang on, this was Kendal, wasn’t this Pete Bland HQ? I jogged down the road from our rather posh registration in the town hall, into the shop, and said, “I need to walk out the door in road shoes, size 8.5, and my Start Time is in 20 minutes”. With that all sorted, we had plenty time still in hand to wander to the Start and feel twitchy. There’s something about a big event that gives an extra tingle of excitement to procedings; the 4-minute call-up, the briefing, and the 4-beep (beep, beep, beep, BEEEEP!) countdown (that always gives me bizarre flashbacks to riding the Kilo on the velodrome). Yep, so urban orienteering. I’m not a fan. It’s fun to do once in a while, but you have to THINK SO MUCH, and SO QUICKLY. I was seeking a bit of redemption for yesterday’s poor performance so I did hammer it, but I have a tendency to stop and try to explain to small children in the street who ask me what I’m doing, and I suspect neither they or I get much out of the interchange. Three days of orienteering; different locations, different competitions, moods, results and emotions, and a fair bit of unfinished business. After a long, long, slow drive up a forest track, we parked at the side of a tree. We had been warned though. So we’d allowed lots of time. 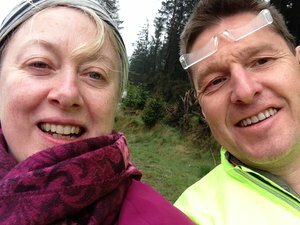 And so as we trudged through the drizzle towards the Start of the Walk to the Start, we had plenty of opportunity to take chirpy selfies. Truth be told, we were both a bit jittery about this foray into the big time. Competing in a national event at a national level. Whatever that meant. I couldn’t give Roberta much advice as it was all new to me too. 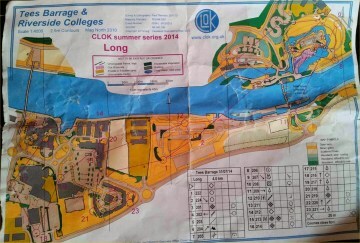 The comforting colour-coded courses were gone, and I was competing in my class of M50L (Course ‘3’). Whatever that was. A parkrun of walking later, we arrived at the Assembly area. Roberta glanced longingly at the portable loos but there simply wasn’t time. We had a further 400m to go before we got to the Start itself. A couple of minutes to spare before Call-Up. T-4 minutes and you’re called forward. T-3 you can pick up control descriptions. T-2 you can look at a blank map, and then, T-15 seconds you can pick up your map, but not look at it, and then … well I’m not sure about the next bit. I do know that I picked up the wrong map. I mean, a W is just an M upside down isn’t it? And if there happens to be a W50L course … I asked the lady next to me what was going on? Are you on a punching start? She asked. I didn’t know. I know what that means now, but not then. So I just said yes, (wrong), and, well the details are unimportant. Realising that I had the wrong map, I hunted around the bins for M50L and eventually picked up my map. But by this time my ship had already sailed, and the official assumed I was in the next wave, and was picking up my map early. On the ball for procedure – not so hot on the facial recognition algorithm. I explained, he demurred, and off I went, a few seconds late. Looking for the Starting punch. Except it didn’t exist, because it wasn’t a ‘punching start’. Ahhhhhhhh…..
And so on to Control 9 (out of 22). A boulder (West Side). Didn’t look too difficult. Jog down the path until it jinks to the left, then contour round to the right, hitting the marshy bit in about 100m, and it should be, right, there. Nope. Ok, loads of people around. Lots of smaller boulders, check, nope. Ok, pan out, look for features, relocate. Ditch found, on map? Hmmm, bush, boulders, scrub, marsh. It doesn’t fit. Ok, relocate. Up to the wall. Find crag, compass bearing, pacing, down the marsh, but there’s no marsh. Something’s not right. What the hell is wrong with this picture? Orienteers in the distance have found a control. That couldn’t be it. It’s in the wrong place. Run over. It’s not. Time was haemorrhaging away. Ok, deep breath. Back to the path I attacked from. Path junction crosses stream. But no path junction crossing any stream here on map. Lots of other orienteers confidently attacking from here, to controls unknown. What did they know that I didn’t? What were they seeing that I was missing? A massive wave of despondency overwhelmed me. I was not wearing a watch or GPS but I knew I’d easily lost 20-30 minutes hunting for this control. I walk back up the path. And I keep on walking. Back to the Finish. Had I known quite how unexpectedly wretched I would have felt about this decision I would not have given up. Although I’m prone to succumb to occasional self-indulgent angst-ridden post-race analysis I’m usually pretty philosophical about bombing out. Not this time though. This was a bit different. I’ve looked at this control so many times that this section of the map is burned on my memory. I can see several ways in which I could have relocated and attacked again. This was a survivable crash. It was recoverable and I had the skills to do so. Sure I would’ve ended up with a dismal time, but I wouldn’t have felt as dejected as a DNF. You live and learn.